The manner in which they produce boost. 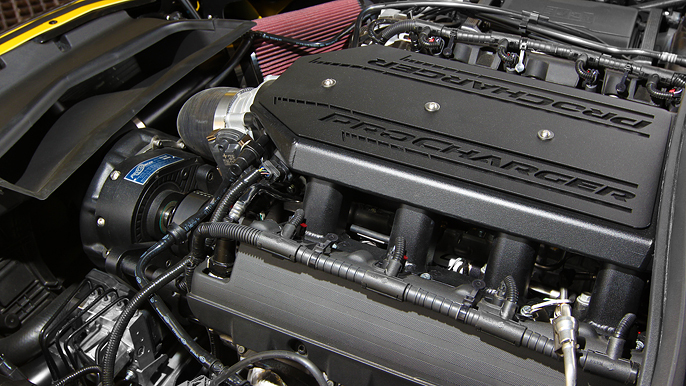 Your engine requires a certain amount of airflow at a certain RPM. Say at 3k RPM WOT it is ‘W.’ An engines airflow needs are linear. If you double the RPM (6k) the engine now needs 2W airflow. In other words if you double the RPM the engine can consume twice as much air. Any supercharger is belt driven off of your accessory belts. As such its driven speed is directly connected to engine speed. If you double the engine speed the superchargers driven speed doubles. Now here is the critical difference between a centrifugal blower and a positive displacement blower. The amount of airflow a centrifugal delivers (literally blows) increases roughly at a square of its driven speed. It is NOT linear. So say at 3k rpm it delivers ‘X’ airflow. At 6k it now delivers roughly X^2 airflow. What this means is the airflow of the blower will increase faster then what the engines airflow requires. IOW, as RPMs increase the boost level will rise. Because of this you need to set the blower so that its max boost occurs at redline. This means that at every point below redline you will NOT be at maximum boost. So say you had it set for 8psi at 6500 rpm. Then you can figure that at 3250 rpm (half SC driven speed) you now how the square root of the boost at 6500 rpm… or 2.8 psi. If you tried to set the pulleys up so you hit 8psi at 3250 rpm then figure out how much boost you would have at redline. Again the driven speed doubled so you square the boost…. 64psi! Talk about severely overboosting!! Now a positive displacement (also called a fixed displacement) blower produces airflow in a totally different way. As its name implies for each RPM the amount of airflow it pumps is ‘fixed.’ IOW, its airflow is linear. Say at 3k rpm it produces ‘Y’ airflow. Then at 6k rpm it will produce 2Y airflow. Notice how the airflow delivered is very much like what an engines airflow requirements are. What this means is you set the pulley ratio for whatever max boost your require. Because the positive displacement supercharger delivers airflow linearly (like an engine) it will maintain full boost throughout the rev band. At 3250 rpm you would have 8psi and you will also have 8 psi at 6500 rpm. In theory you should have full boost at idle but it doesn’t actually work that way because of air leakage around the rotors inside the blower when it is turning at very low RPM. Still on my car I get 2psi of boost at 1k rpm. Almost the amount of boost a centrifugal (with the same max boost level) would produce at more the 3x the engine speed. If you take a centrifugal blower and a positive displacement blower and set them to have the same max boost then dyno them you will find their peak HP will probably be pretty similar. But if you look at the area under the peak (say at 3k rpm for example) the positive displacement car is going to still be running max boost while the centrifugal will have about ¬ the boost. IOW the positive displacement supercharged car will have FAR greater useable power at that point. In street terms if the two we driving down the road in fifth side by side and the both punched it the positive displacement car will blow the other car away. As far as driving them the centrifugal supercharged car is going to feel very peaky because of the boost delivery. The positive displacement supercharged car is mostly going to just feel like a much larger engine. This is why all the automotive manufacturer’s which build factory supercharged cars use positive displacement blowers. 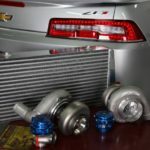 Centrifugals are popular in the aftermarket because they are physically smaller sized and are MUCH easier to fit under the hood. They just fabricate a bracket and mount them up by your alternator and such. To mount a positive displacement blower usually requires a new intake manifold which the blower mounts to. 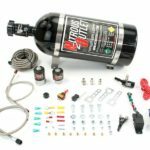 Redline is a dealer for the following brands of Superchargers!